Today we are interviewing J.E. Plemons, author of the dystopian YA novel Last Light Falling. I have been fortunate enough to experience many things in my life, some of which were humbling, others fulfilling, and because of that, I've grown to be patient and content. I'm a father, husband, educator, chef, drummer, actor, carpenter, screen-writer, and author. I'm willing to struggle, fail, sacrifice, and fall before I learn to move on from those experiences. I'm not afraid to die, but willing to live as long as I'm able. Even though I'd like to see my kids grow old, I understand that every day is precious, yet uncertain. I live with the best intentions that everything is going to be okay until it isn't, and when that happens, I'm free to just let go. C.S. Lewis and Tolkien without a doubt for their courageous unsolicited effort to go against the pretentious grain of the book publishing world during their time. They both have created timeless characters and stories to which have inspired many to follow in there writing footsteps. The first time I read Harper Lee's To Kill A Mockingbird I was truly changed. A remarkable read by a remarkable author. It was probably one of the first stories that made me sad to read, but really helped me understand a character's real struggles. I really got so much from that book, but didn't realize it until much later in life. 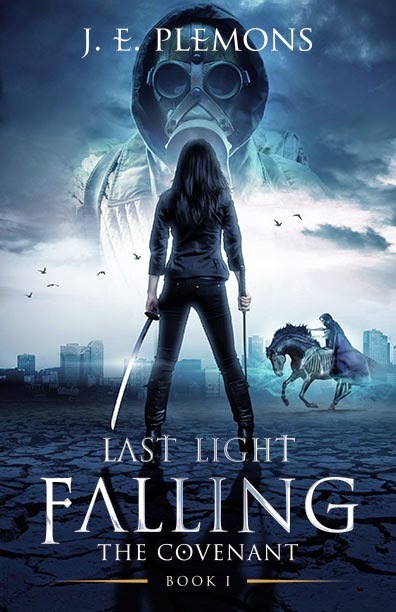 I'm currently working on Last Light Falling - Kingdoms Of The Ten, Book III. I'm about three quarters done. It's been a long ride with this one, but I'm loving every minute of it. I've vested so much into these characters, I will be sad to leave them when the fourth and final book of the series is over. When I type those two words on the last page, I think I just might cry…hey, real men cry.